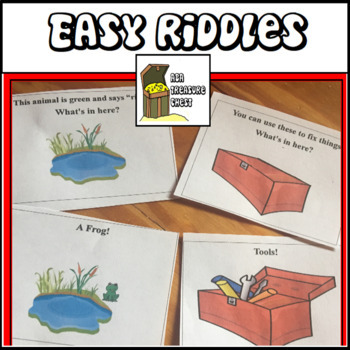 This resource has 21 simple riddles with picture cues. Each page has 3 riddles. 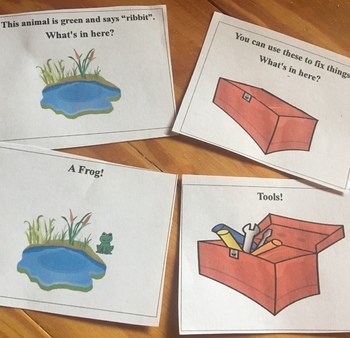 Each riddle has a picture/word clue card and a picture/word answer card. Each card is approximately 3”x 3”. Print each page in color and cut on the dotted lines. Cut out the cue card and the answer card separately and laminate back to back or keep as two cards. 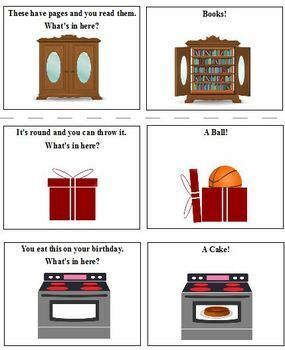 Great for beginning inferences! Follow for info on the latest resources and sales!